New Delhi, July 22 (IANS) Sanjay Kothari, Chairman of the Public Enterprises Selection Board, was on Saturday appointed as Secretary to President-elect Ram Nath Kovind, an official statement said. Two days after the former Bihar Governor was elected the 14th President of India, Department of Personnel and Training (DoPT) announced the names of those who would be joining his office for an initial period of two years. A 1988-batch senior Gujarat-cadre Forest Service officer, Bharat Lal, will be Joint Secretary to Kovind, said the order issued by the DoPT. Senior journalist for 20 years and distinguished fellow at Observer Research Foundation (ORF) Ashok Malik will be Press Secretary to the President. Kothari, a 1978 batch IAS of the Haryana cadre, was appointed the PESB Chairman after he superannuated as the DoPT Secretary. 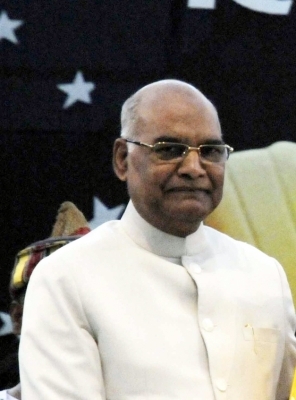 National Democratic Alliance (NDA) candidate Kovind was on Thursday elected the new President of India, securing a massive margin over his United Progressive Alliance (UPA) rival Meira Kumar in a straight fight.